Starting today, most Canadian families with children under 18 can expect to see a bigger child benefit payment, as money starts flowing in one of the most ambitious social policies to be implemented in Canada in decades. The new Canada Child Benefit (CCB) is expected to push tens of thousands of Canadian children above the poverty line, and could help stimulate an economy that could use a jolt in the arm. "This is an initiative that's going to help Canadian families in a significant measure," Prime Minister Justin Trudeau told the CBC's Rosemary Barton in an interview Wednesday, and noted it is a "more generous and tax free" system than its predecessor, he said later at a press conference. But it's pricey: the benefit is expected to cost $22.4 billion over five years. It also won't be indexed to inflation until 2020. Still, the vast majority of Canadian families will see a boost to their bottom line. 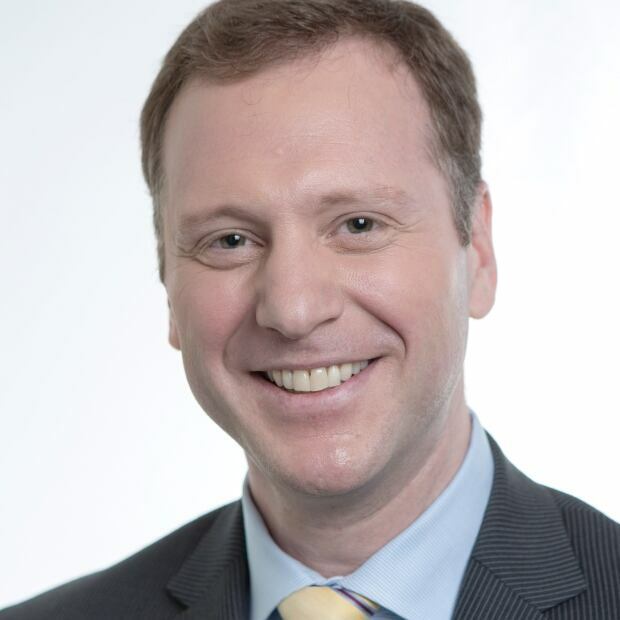 "At the end of the day, based on the models we have looked at and based on what the government has said, about 90 per cent of families that have kids under the age of 18 will actually have more money than they did under the old system," says Jamie Golombek, managing director of tax and estate planning for CIBC Wealth Strategies Group. The poorest of those families will see the biggest boost while the wealthiest will see their child benefit payment disappear altogether. Under the old system, families could receive both the Canada Child Tax Benefit (CCTB) and the Universal Child Care Benefit (UCCB). The CCTB was tied to income but the UCCB was, as its name implies, universal. The UCCB provided $160 per child per month for children under six and $60 per month for children aged six to 17. That money was paid out to families regardless of income level. The new program combines the CCTB and UCCB into one payment that is entirely income tested. The new payment is also tax-free. Under the new CCB, families with children under the age of six will receive as much as $6,400 per child per year. Families with kids between six and 17 will receive a maximum of $5,400 annually under the new plan. Families with net income below $30,000 per year will receive the maximum and families earning more than $200,000 per year will see their payments eliminated. The extra money and the fact that it's tax-free could have a stimulative effect on the economy, at least initially. "It's theirs to spend," said Stephen Poloz, governor of the Bank of Canada, earlier this week at a news conference in Ottawa. "Of course when they spend it, it has secondary effects." 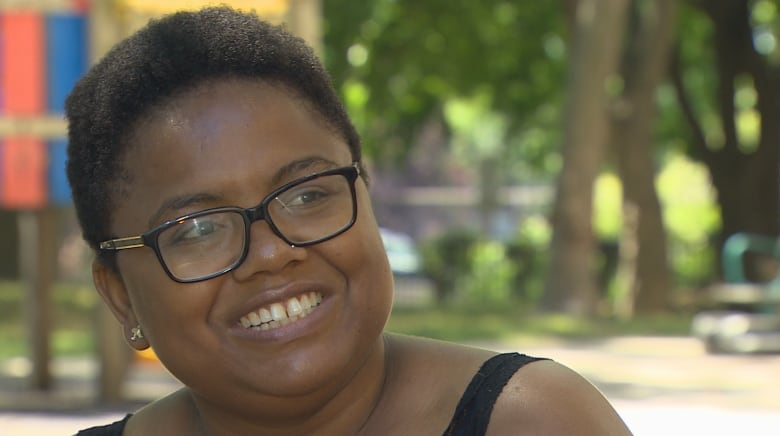 Ava Williams is a Toronto social worker with a net income of about $30,000, who lives in community housing. As a single mother of four children between the ages of six and 17, she says the new program will boost her annual federal benefit payment by about $6,000 per year, which doesn't include the added benefit of the new payment being tax free. "It will make us feel a little bit more human," says Williams. "I know for myself, I feel a little bit dehumanized. Because there's this whole stigma that you're lazy, you just want the money, but it has nothing to do with that. I work a full-time job, 40 hours a week and I still live in poverty." Williams says the extra money will mean she'll be able to afford more things for her kids in school, such as the snack program and school trips. "For me, I know it's going to help me buy better groceries, maybe even move to a better environment for my children," she says. The Liberal government says the new program will push nearly 300,000 Canadian children out of poverty. "The poverty rate for children in Canada will fall from about 11.2 per cent to 6.7 per cent," says Jean-Yves Duclos, the federal minister of Families, Children and Social Development, which is responsible for the program. "Forty per cent of all children currently living in poverty will be lifted out of poverty, which will lead to the lowest poverty rate among children ever in Canada. It will also lead to the most significant fall in child poverty ever in our country," he says. "So it's a huge impact, a transformation in the lives of families of almost six million children in Canada." The new program completely overhauls the system that was in place under the previous Conservative government. "There is a real philosophical difference here. The previous [Conservative] program ... believed that there should be some component of assistance for families that was universal. So just because you made a lot of money personally you shouldn't be penalized, you shouldn't be losing out and not getting any government benefits." says Golombek. "Whereas this new government, the Trudeau government, has said we are going to do this purely on income testing. Wealthier families can carry more of the load ... they don't need additional government handouts" he says. 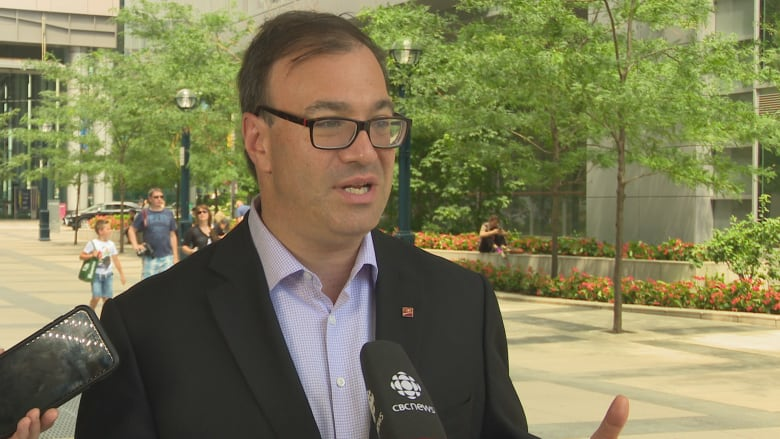 The Canadian Taxpayers Federation — which supported the Conservative government's UCCB — says its default view on broad-based entitlement programs is that the government should cut taxes and put more money back in people's pockets. At the same time, federal director Aaron Wudrick says his group is not necessarily against the new CCB as a means-tested payment. "Our concern with the new CCB is that it is expensive: we'd have preferred if the new government simply had reallocated the cost of the old UCCB, rather than added to it," says Wudrick. "So in short, we are OK with the program in principle, but think the government should be scaling it back a touch so long as we are running a deficit."